No servers or IT staff required. All you need is an internet connection. Our debt collection agency software is cloud based technology powered by simplifies your operation and greatly reduces IT costs and resources. Easily accept payments online with our online payment portal. Alternatively, you can accept payments on your website using our API. Having a dialer is essential to a successful collection agency. Quantum is also directly integrated with ®, an industry leader in dialer technology. Additionally, a software interface for creating and importing dialer campaigns for use with any other dialer service provider is included with our debt collection software suite. Credit reporting your accounts is easy with Quantum's built in credit reporting interface. Industry standard METRO2 format is compatible with Experian®, TransUnion® and Equifax®. Communication is important. Quantum Debt Collection Software Suite makes it easy to E-Mail, Print or Mail letters through a mailing service. TrioSoft® makes it easy to get setup with most mailing vendors. Dial faster, accurately and efficiently with Click-To-Dial (aka Click-2-Dial) functionality. Quickly and easily identify and locate a consumer's account using our inbound Caller ID search functionality. A must have feature in all debt collection software. Half of the battle is locating the consumer. With Quantum's built-in user friendly skip tracing software tools, including a direct interface to LexisNexis® Accurint®, your agents save time not having to switch screens, logging into other services or copy and pasting. Credit reports are integrated right into Quantum. Experian® Collection Advantage and Trigger Monitoring, and TransUnion® Collections Prioritization Engine (CPE), and Collection Trigger Monitoring are essential collection tools. With Quantum you can search consumer's credit report attributes and scores enabling you to create finely tuned strategies. 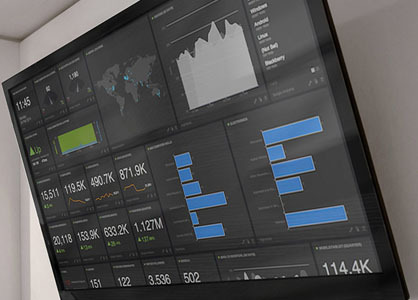 Keep your agents motivated and your managers informed with the use of productivity dashboards. A regular feature of Quantum and simple to setup. 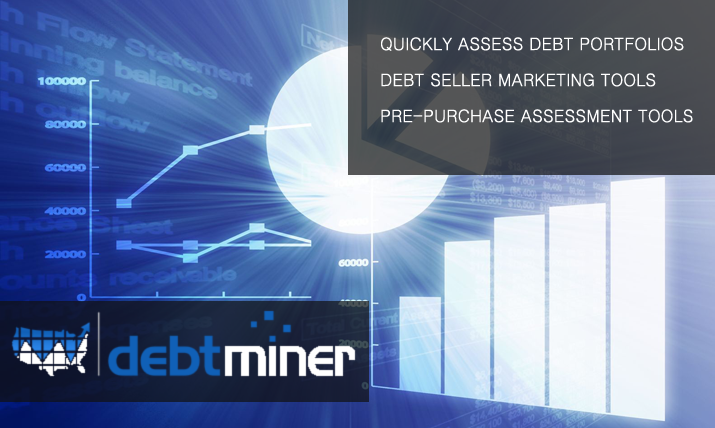 DebtMiner redefines simplicity for in-depth analysis of delinquent debt portfolios giving portfolio owners, buyers, sellers and brokers the tools necessary to accurately assess a debt portfolio for profitability, risk, quality and compliance using our intuitive website design.